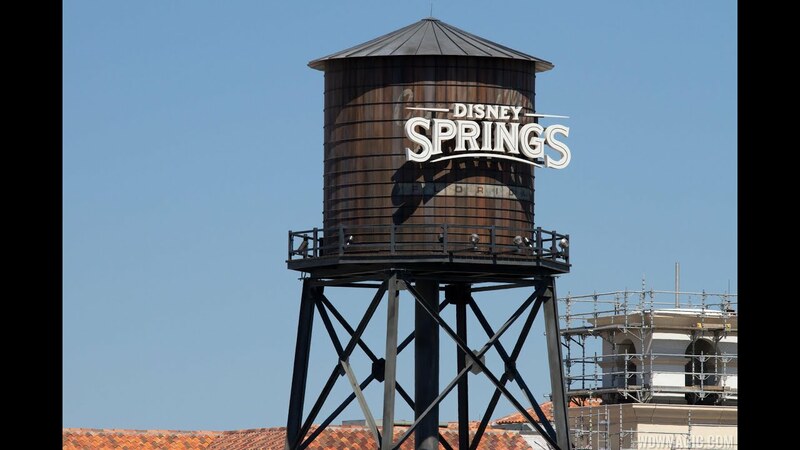 Aug 07, 2015 in "Disney Springs"
Today's Disney Springs update is a closer look at the work taking place in constructing 'The Springs'. The heart of Disney Springs, this all new area runs from Planet Hollywood, behind The Landing, past Raglan Road and ends at T-REX. Being built somewhat like the lazy river at Typhoon Lagoon, The Springs water feature will run through the center, providing great water views for the restaurants and walkways in the area. STK Orlando, the new Planet Hollywood Observatory, Chef Art's Fish Camp, Sprinkles, Morimoto Asia, Raglan Road and yet unannounced restaurants will all have views onto the water. Visit the gallery for more photos, and be sure to see the panoramic shot for an overview of the area. Also check out the concept art for this area in a previous article. The Springs is expected to open in early 2016.